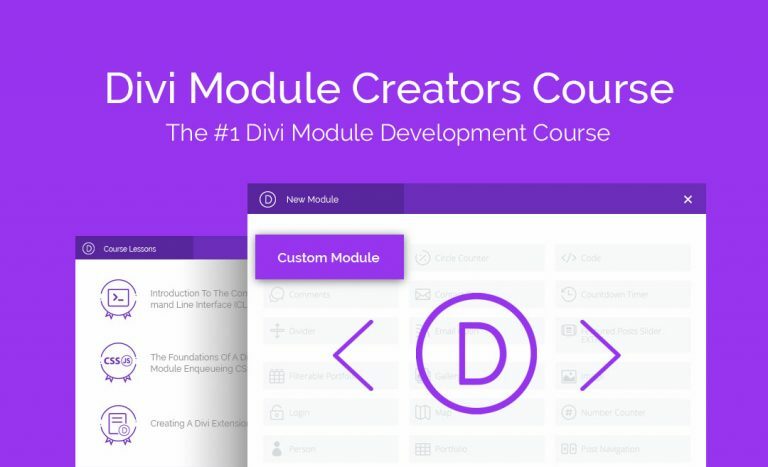 Welcome to the Divi Module Creators Course! Over a series of 29 lessons, quizzes, assignments and live webinars, we’re going to show you how to build modules for the popular Divi Theme & Plugin. We’re going to start from the very beginning of your journey as a software developer and show you how to set up a developments environment, including installing and testing all of the tools and dependencies you need before you can start building modules. From there we’ll show you all of the fields and setting available to you in the module building process and ensure you’re confident in using all of them. It’s all practicals from there as we build not one, but two fully functioning Divi modules of varying complexity. But if you’re thinking you have to wait for sections three and four before you can start building modules, don’t worry; You’ll have built a working module before you finish section one. Ready to get started?